With near-daily security breaches in the media every business regardless of size should have risk management at the top of its to-do list. 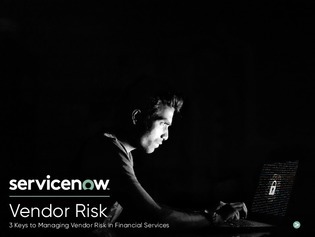 Many financial institutions don’t recognize the need to look beyond their own systems and process and scrutinize the risk profiles of their vendors. The solution to this is a vendor risk management process that allows organizations to prioritize each vendor based on the risk they pose to the business, and apply the right mix of controls, policies and procedures to keep them in check.